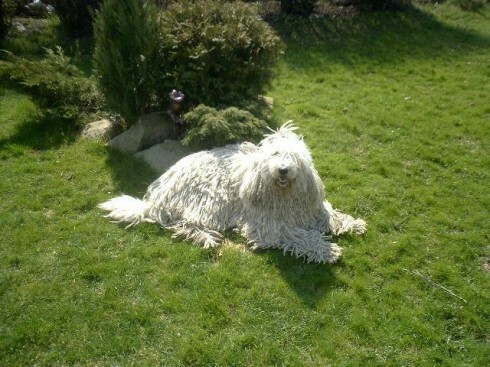 The Komondor is a serious dog who loves the outdoors. 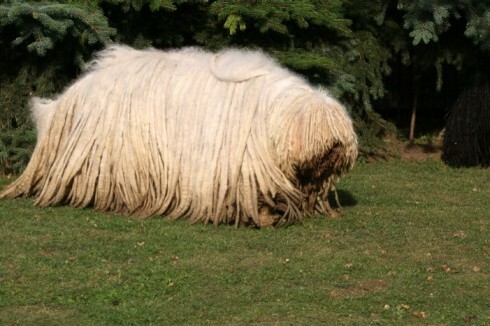 He can think for himself, since his ancestors usually protected sheep with no people nearby. 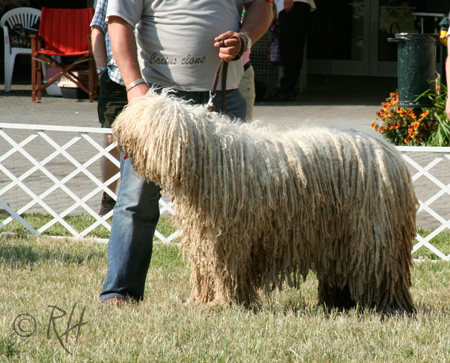 These qualities mean he does best in a family that knows how to handle a bold dog who needs plenty of room to run. 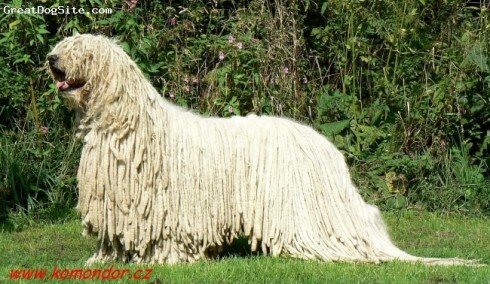 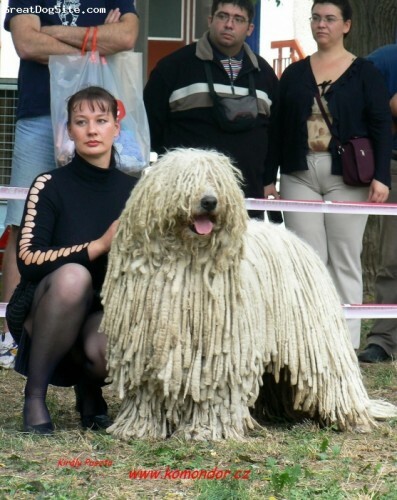 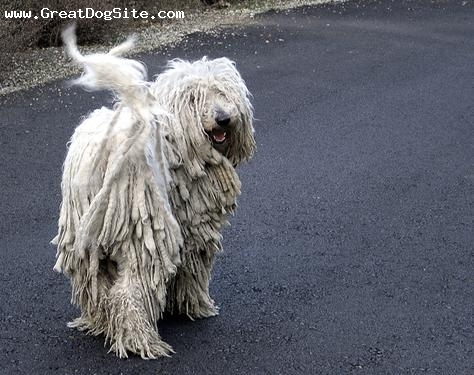 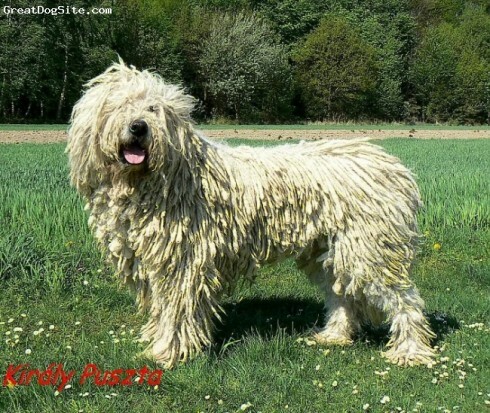 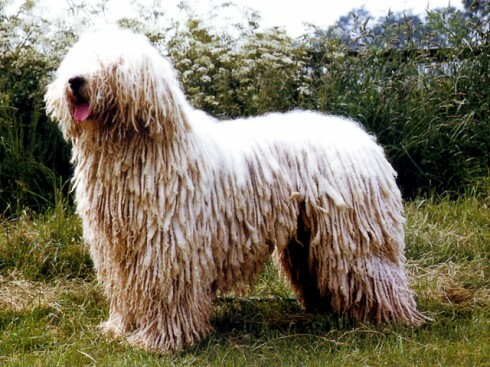 Descended from Tibetan dogs, the Komondor was brought to Hungary a thousand years ago by nomadic Magyars. 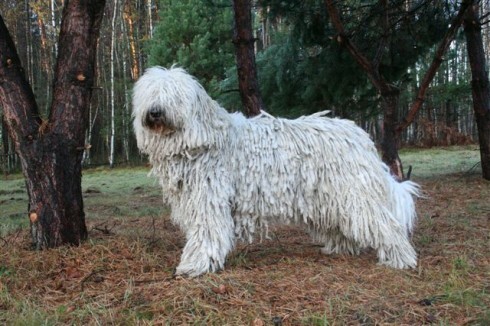 This heavily coated dog is an almost direct descendant of the Aftscharka, which the Huns found on the southern steppes when they passed through Russia. 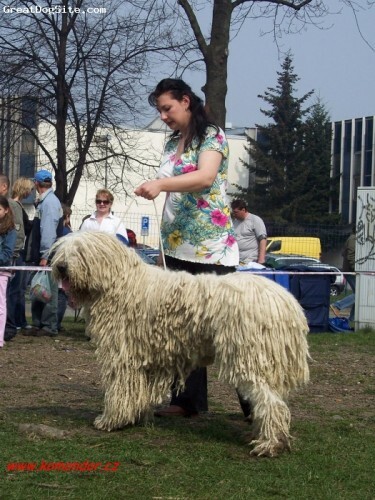 Many of today's Komondorok (plural) bear striking resemblance to the massive, long-legged Russian herdsman's dog, but the breed generally has become more compact. 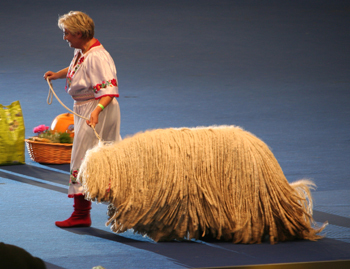 So you want to own a Komondor? 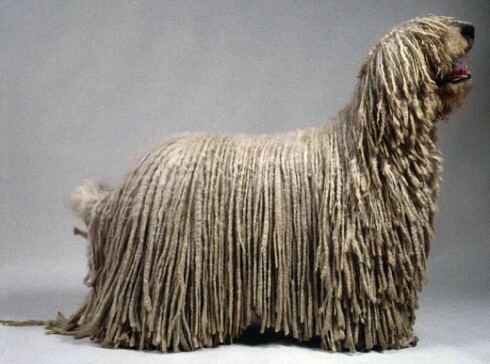 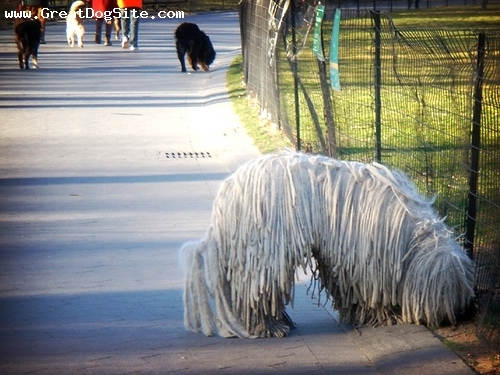 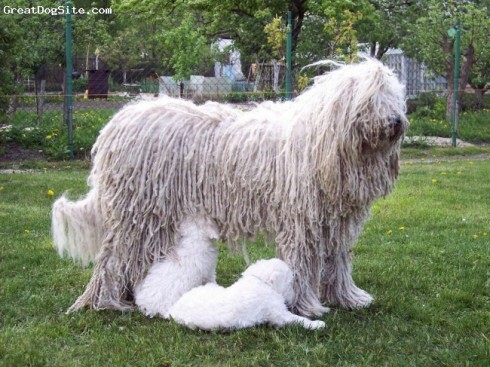 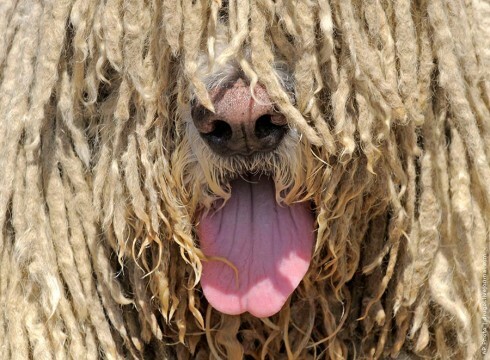 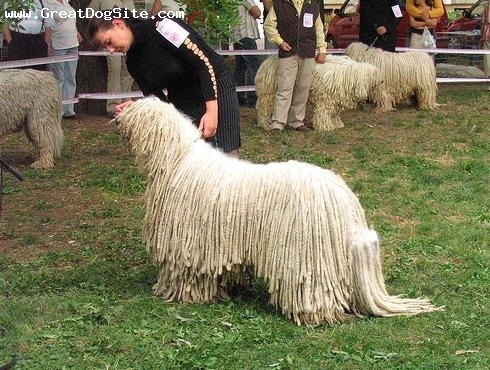 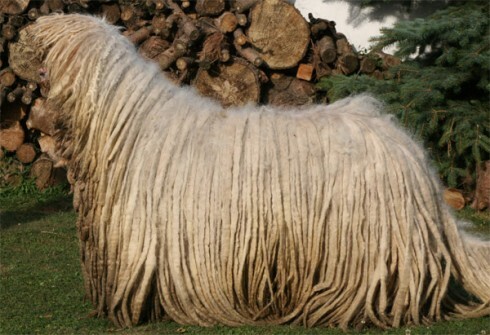 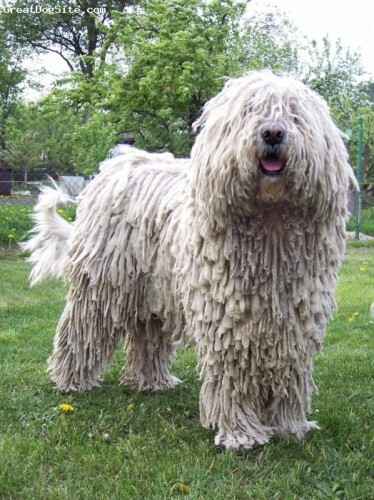 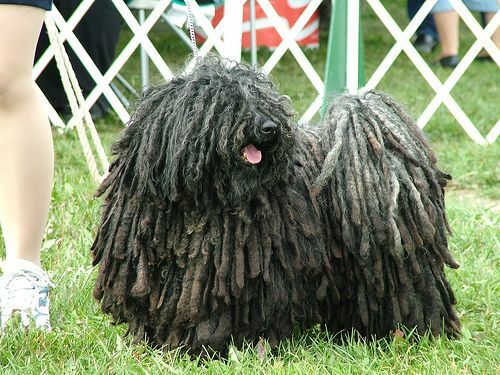 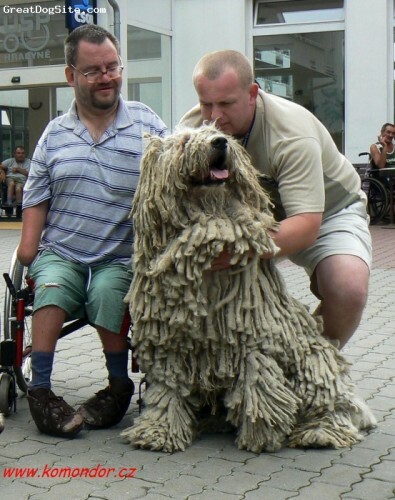 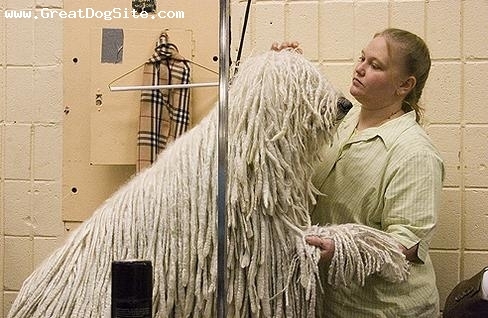 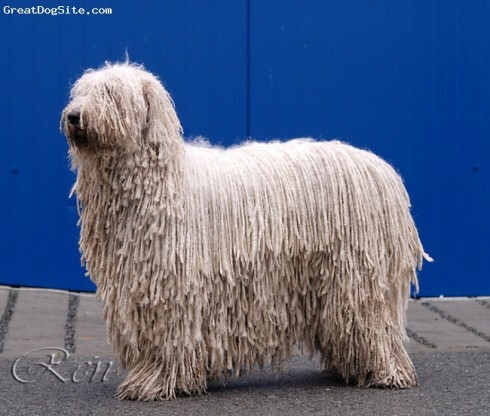 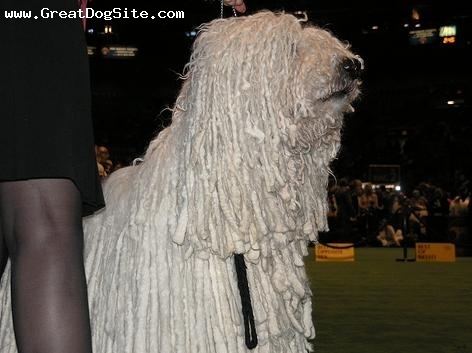 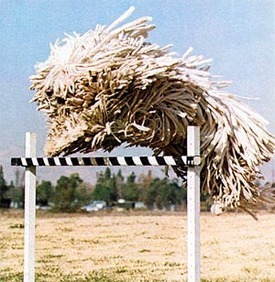 The Komondor's coat is cord-like and requires a lot of work to maintain. 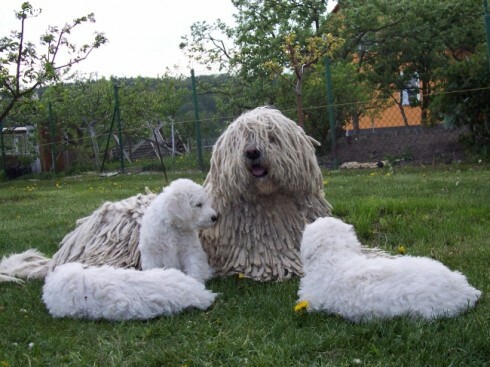 This independent smart dog needs obedience training starting as early as eight weeks old. 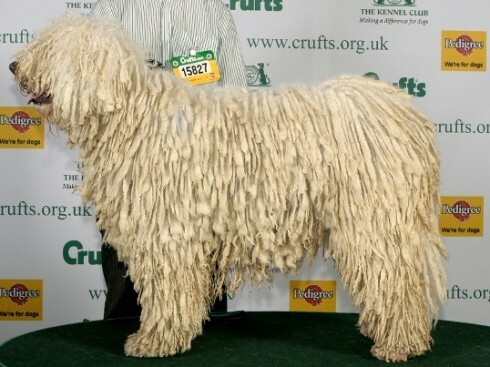 Strong bone, very muscular. 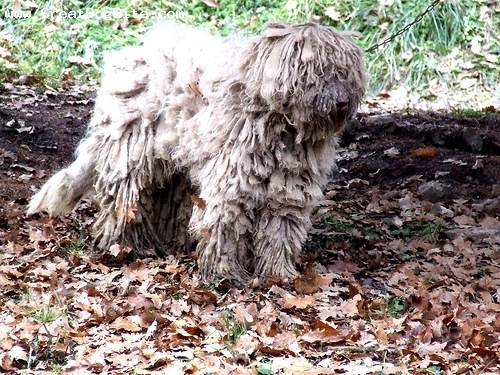 Viewed from rear, legs fairly wide apart, parallel, well angulated. 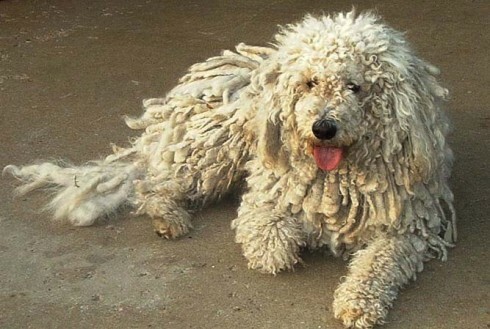 Dewclaws should be removed. 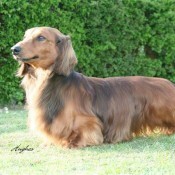 on back, shoulders and chest, shorter on cheeks, around eyes, mouth and lower parts of legs. 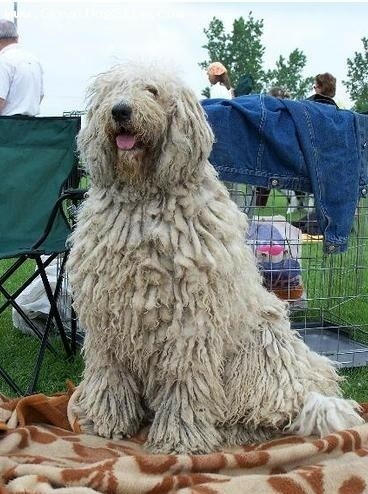 Coat is fairly slow in cording and may not be fully formed before two years of age. 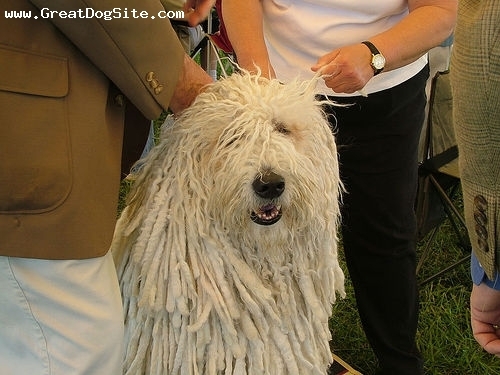 Puppy coat should be soft and fluffy, adult coat usually starts appearing 6-9 months of age. 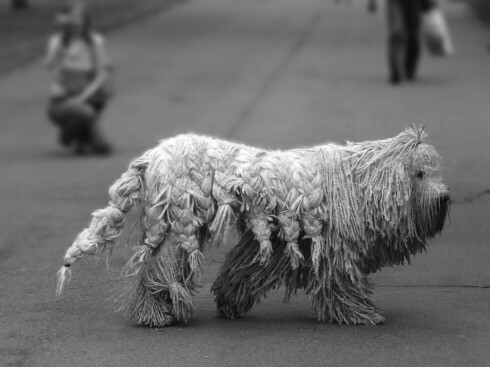 Presented corded.